Amys Nails | The sciencey secret of real inner beauty. Punch yourself lightly, did it hurt? not really right? (if it did…don’t sue). Why not? I mean what’s in the skin… blood vessels and nerve endings? why didn’t that hurt? a nerve ending is a nerve ending wherever it is. Human skin is made up of 3 main layers and the outer layer (epi-dermis) has a layer of dead cells on the surface. We are literally dead on the outside…kind of like a throwback to geography class…when you learnt about the earth with it’s thin crust protecting the life and colour below. If you want to add some life to this layer, remember nourishing and hydrating OPI hand creams are available at Amy’s Nails from just £2.50. And what of that layer below? the dermis…Everything that makes your personality attractive to fellow human beings is in this layer of your skin. That big brain is pulsing your alertness, your drive, your intelligence through to the nerve endings in your skin. Your deep caring heart is circulating blood right through to the tiny blood vessels in your skin. When someone says ‘You look great’…a geeky skin scientist might translate this as ‘the blood vessels and nerve endings in your dermis are so active and nourished that it’s visible through the outer layer or epi-dermis. (not the best chat up line!!!). But how do we bring that beauty to the surface? The boring, waggly finger answers are always there…eat your greens and do some exercise but we can help with the fun lazy solutions!!! Adding a hand and arm message (just £3 extra) to your Full Manicure will stimulate your nerve endings and boost circulation…. And if all else fails…. 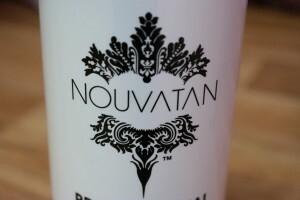 Ellie can spray some colour into your skin with our ever-popular NouvaTan.